Ortygia is located at the eastern end of Syracuse, separated from it by a narrow channel. Three bridges connect the island to the town. 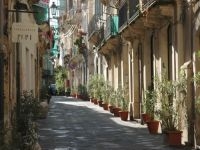 Ortygia means “Quail”, it originates from the Ancient Greek “ortyx”. “Quail Island” is an extremely popular place for tourism, shopping, events, entertainment and nightlife, and also a sought after residential location. 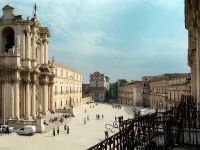 You can see Ortigia’s long history everywhere, walking this picturesque quarter of Syracuse. It shows without interruption who has gone through, from its foundation to the present. Greeks, Romans, Byzantines, Arabs, Normans, Swabians, Aragonese, the Catalans and the Savoy have imprinted unmistakable footsteps. Ortygia shows countless monuments, beautiful mansions and townhouses, a variety of churches, wide squares and winding alleyways that make it a rare stony jewel. Ortygia is small, but packed with more than 2,500 years of history. The best way to see the island is just to wander. Once you passed the bridge Ponte Santa Lucia, turn right and leave your car at the parking. Ortygia’s architectural styles vary, you will find Medieval Norman buildings, a great deal of Baroque buildings and Greek and Roman ruins. Restaurants, bars and cafés abound, and everywhere there are art galleries, cute small shops and boutiques selling traditional handicrafts, ceramics, hip clothing, souvenirs, books and antiques. A good way to wait for the evening is to sit in a bar on the western side near the fountain of Arethusa in the late afternoon, having an aperitif while watching the sunset over the lagoon. The Fonte Aretusa is the historical highlight of this part of Ortygia, a freshwater spring that’s studded with wild papyrus. According to legend the Arcadian nymph Arethusa, a handmaiden of the goddess Artemis, fled underwater through the Mediterranean Sea from Greece to Sicily. She wanted to get rid of the persistent advances of Alpheus, God of Rivers, who was madly in love with her. Arethusa asked Artemis for help and the goddess transformed her into the freshwater spring we can see today. Alpheus left his home, the river Alfeios on the Peloponnese in Greece, and followed her. According to one legend Alpheus is still trying to find his Arethusa in the Med, according to another he located his love and mixed his own waters with hers. 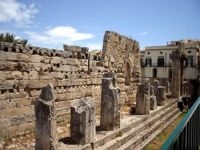 This picture shows Olympia in Greece. Why? 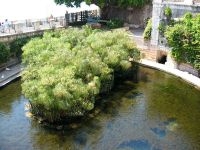 Because legend also has it that the fresh water spring Fonte Aretusa is connected under the sea to the river Alfeios at the sanctuary of Olympia. It's said if you throw there a cup into the river it will emerge in Ortygia at the fountain of Arethusa. Well, until today, no cups – the fountain is only home to some carp and ducks. 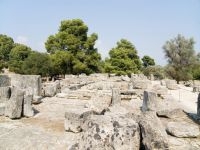 ATTN: all travellers to Olympia in Greece! Please throw a cup into the river. We would like to know if the legend is true. From the fountain it is only a short walk to Piazza del Duomo which is ranking as one of Italy's most beautiful squares. This wonderful pedestrian square is home to the Cathedral. Every time when we are in Syracuse we could spend hours hanging out in one of the cafes opposite to it, sip caffè and just look around. 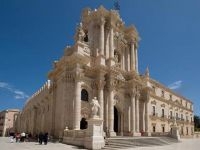 The palazzos, churches and mansions surrounding the square are all built in Baroque style. Meet the beautiful palazzos Beneventano and Vermexio and the church Santa Lucia alla Badia which houses the painting Burial of Saint Lucy of Caravaggio. The Cathedral was built on the site of the ancient Temple of Athena as can clearly be seen – the temple is integrated in the church, its mighty columns are supporting the nave. Standing on a large promontory, the mighty citadel and castle of Syracuse, Castello Maniace, was constructed by Emperor Frederick II. It is named after the Greek General Giorgos Maniakes, who built the first fortress at the very same place in 1038. The castle has a beautifully decorated portal. The Jewish community of Syracuse once was the second populous of Sicily after that of Palermo. Several thousand people were living in the Giudecca. The Jews were a very important part of Syracuse’s population until the year of their expulsion by the Spanish kings in 1492. The restoration of many palazzos and townhouses have encouraged numerous people to open restaurants, hotels, bars and meeting places in these characteristic buildings, which are lining charming narrow alleys. 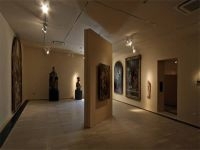 The architectural style is a mix of Medieval and Renaissance, Sicilian Baroque and Hebrew-Israelite. Many of the buildings la Giudecca still have underground cellars where the ritual baths were placed. 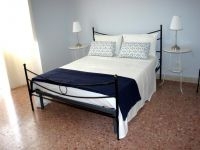 You can visit to such a bath, the Miqwa, in Via Alagona 52 under the "Hotel alla Giudecca". La Giudecca is the most charming part of Ortygia, because it is full of international flair and so Bohemian! You can travel through time, and if you find an open entrance have a look inside: many buildings boast a courtyard with a palm tree and a lemon tree, an ancient custom that survives today. Have a great dinner in a little restaurant, an aperitif, coffee or just a cool drink in a stylish bar or café. In La Giudecca you will meet people from all over the world. Just some steps south from the Cathedral an unimpressive entrance next to the Bishop’s Palace leads to a very impressive underworld. Partly the tunnels were already beaten from the rocks in ancient times, and served in World War II as an air raid shelter. 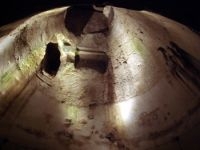 The Hypogeum combines cisterns and stone quarries – the cistern of the Archbishop is enormous and very atmospheric. This place is in summer an oasis of cool air, full of shadows, echoes and penumbrae. 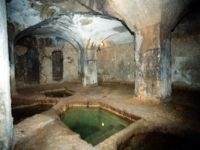 Older children will find the Hypogeum a really thrilling experience. 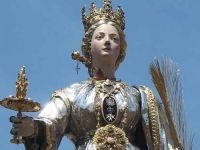 On 13th of December Syracuse is celebrating its patron saint Santa Lucia. A splendid silver statue of the saint is carried from the church to the Cathedral, a torchlight procession and band music accompany the bearers. There are plenty of accommodation in Ortygia – you will find many B&B, holiday apartments and small hotels in old mansions, palazzos and townhouses, as well as modern congress and group hotels on the mainland of Syracuse, and club hotels, holiday villages, and agriturismos near the town. 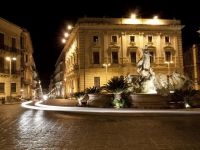 Following Corso Matteotti you will come to Piazza Archimede, named after Syracuse’s famous son. At the centre of the square stands the beautiful Fountain of Diana, telling the legend of Arethusa. The fountain depicts the nymph being on the run from Alpheus, who is trying to grab her with outstretched arms. Diana is to shield the young girl. The buildings that surround Piazza Archimede show the island’s history from the Middle Ages to the present day. Not far away from the Fonte Aretusa are the ruins the Doric Temple of Apollo, the oldest Greek temple in Sicily and the second oldest Greek temple in the world. 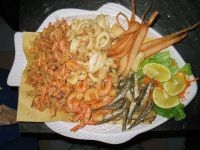 Next to the temple a very special experience is waiting for you - the Mercato di Ortygia!